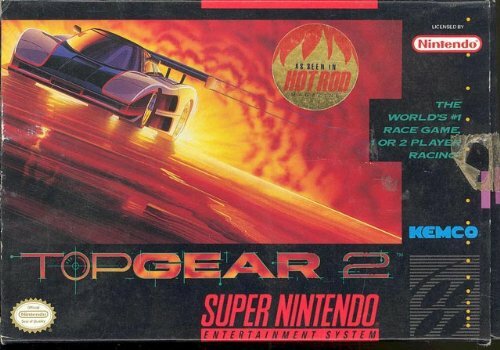 Top Gear 2 for Super Nintendo allows you to play in 64 different cities in 16 detailed countries in your pursuit of victory. You'll reach speeds of up to 200 mph as you spin, flip, jump, and turn your way through the world. The competition is only the beginning of your worries, as you'll race from day to night, through snow, rain, and other weather conditions. Win enough prize money, and you'll be able to upgrade your engine, tires, transmission, armor, and more. For 1-2 players.